I just had a little epiphany about the ‘War on Terror’: Terror is the Enemy. It is the enemy of America, it is the enemy of the Muslim World. It is, above all, the enemy of angry young men frightened by a world in which they have no place, angry young men for whom the temptation to do violence stirs their most primitive urges, leading them, thought by impotent thought towards self-annihilation. From the American side, in strategic terms, Terrorism is the weakest enemy we have ever faced as a nation. The least of our warplanes could make mincemeat of the men who threaten us with bombs and guns and fear. And yet, it is, in some ways the most pernicious threat. When America faced the Nazis and Fascist Japan in WWII we were united against formidable enemies. But this foe does not unite us, it divides us. One statesman offers prayers for the victims, and is blamed (in part) for the carnage by another statesman. Liberal blames Conservative, and Conservative blames Liberal, and the fear of our common enemy is transmuted into hatred of each other. That means the front line of this war is not the battlefield, or even the streets, but our minds. In the past we were called merely to fight our enemy, and to defeat him. But this is a war unlike any before. In this war, ignorance of our enemy perpetuates the war, and escalates the violence. Our enemy is so weak that, paradoxically, he cannot be defeated. We have built a military to slay giants, and the stinging ants walk between our feet. To defeat this enemy, we shall have to understand him, and that is a greater challenge than any we have faced before. It means we must see Terrorism for what it is: an invitation to fear proffered by our enemy in order to perpetuate our conflict with him. It means we cannot win until we cease to hate. Our enemy is fundamentally afraid. He fears us above all. And he has reached into the masculinity of his soul and conjured the age-old weapon against fear: violence. He is trapped in a pathology he cannot see, a glory-death fantasy no sane person could be party to. With every expression of our power we make him—and those on the verge of becoming like him—more afraid. This is a war in which we will not prevail until we have overcome our own fear, not by power nor by might, but by our humanity. This is a war between those who have no place in the world, and those who have found their place. This is a war in which we must not only defeat our enemy, we must heal him. Callen Clarke is an author, musician, and composer. He has written the science fiction novel Firadis [Arena] (the first in a series), multiple symphonic compositions, and is an expert in many instruments, including the ʾoud. 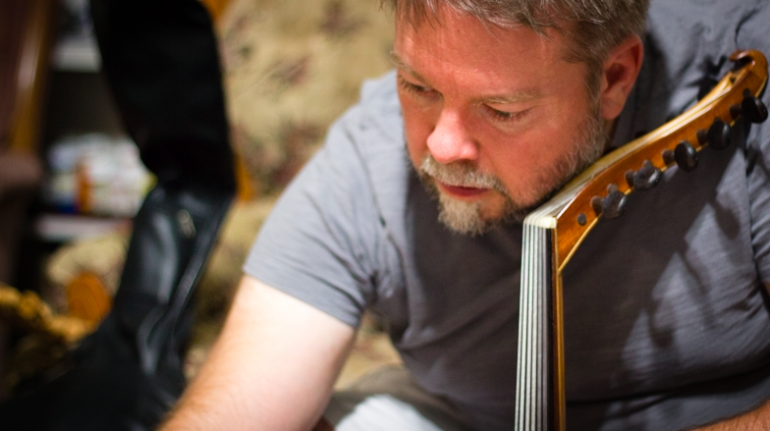 He has been an avid student of Middle Eastern music, history, and culture for over 25 years. He has deep friendships with persons spanning a broad spectrum of Middle Eastern perspective, experiences, and locations; and he has used music as a way of connecting and bridging many of the gaps and tensions between cultures. His album Verse is meant to connect the modern world experientially, through music, to the biblical world.